KABUL: At least two blasts struck a large ceremony Thursday attended by Afghanistan chief executive Abdullah Abdullah and other leading government officials, killing three people and injuring 22 others. 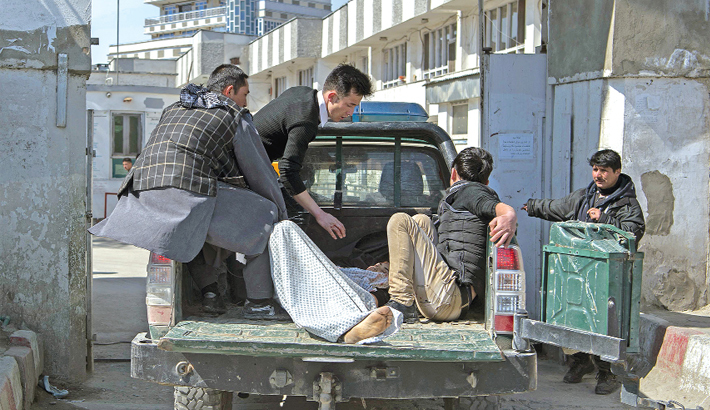 The Kabul attack represents a major security breach and marks a resumption of violence in the capital after weeks of calm amid ongoing peace talks between the US and Taliban in Doha. “Stay calm, the area of the blast is far from us,” said former lower house speaker Mohammad Younus Qanooni from the stage during a live broadcast of the outdoor event. But moments after the announcement, another explosion and gunfire could be heard that sent people running. The blasts happened during a ceremony marking the 24th anniversary of the death of Shiite Hazara leader Abdul Ali Mazari that was attended by many of the country’s political elite, including Abdullah and former president Hamid Karzai.